Description This scroll was painted in December of 1953. 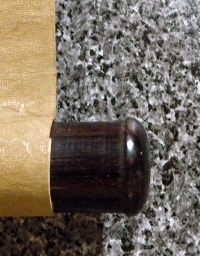 There is a 4-centimeter slash at the top of the mounting. There also is a breach at the bottom of the mounting. A few noticeable stains are recognized. 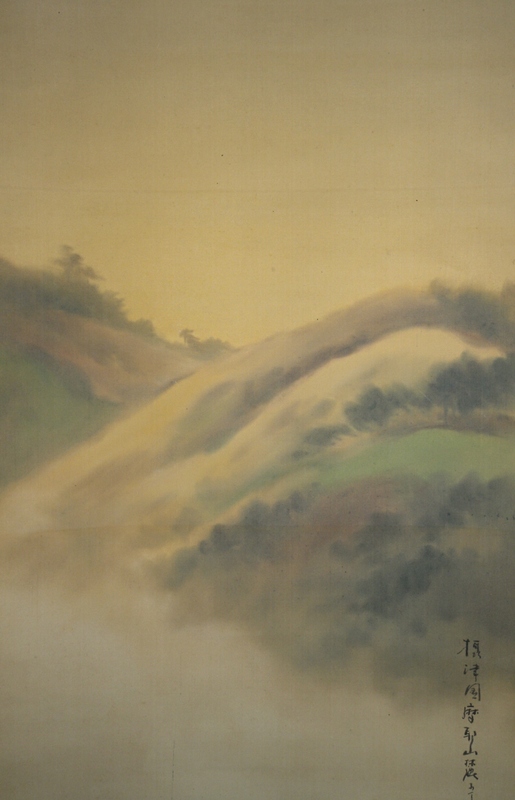 The title of this scroll is "Mount Maya" which is located in Kobe, Hyogo Prefecture. This mountain is the most popular peak for visitors on the West-Rokko Mountains. 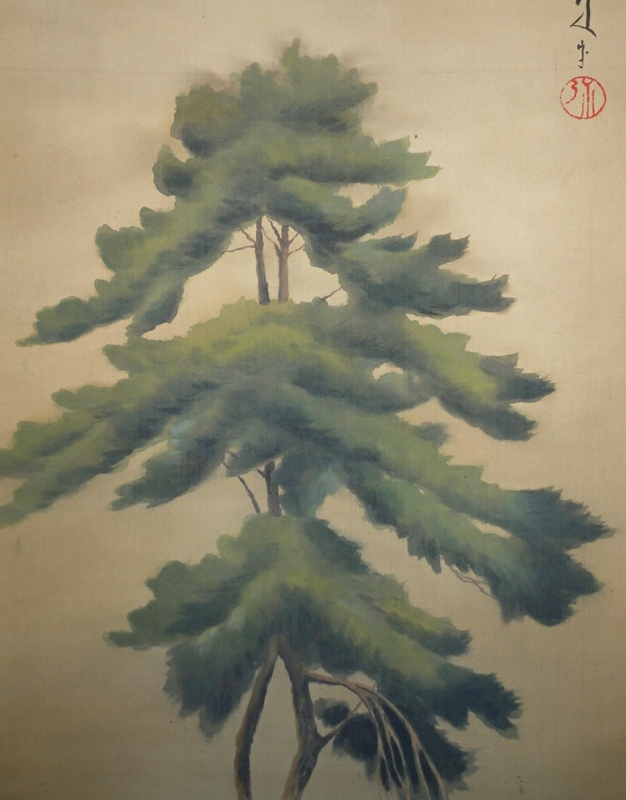 A scene of the mountain with Matsu (Japanese Pine) tree is painted well.